President Rodrigo Duterte made a new vow when he faced Filipinos is Japan on his state visit. 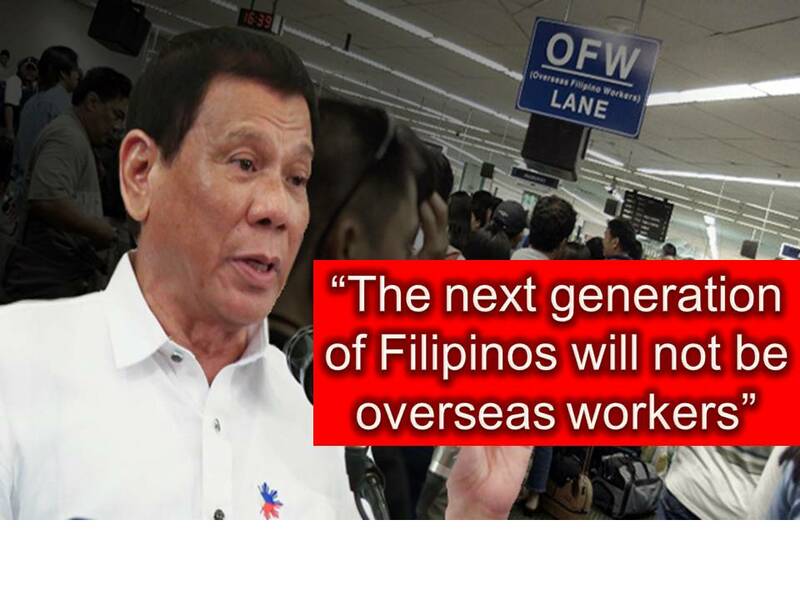 According to the President, "The next generation of Filipinos will not be overseas workers." When the president arrived in Japan, he reiterated his earlier promise to work hard to improved the economy of the Philippines. "Ang pagtrabaho n'yo sa ibang bansa, hanggang diyan na lang. Next generation, [sa] Pilipinas na [magtrabaho],"
"We have to improve the economy na hindi ka na babalik dito, na kung bumalik ka rito, baka-bakasyon na lang." In his arrival speech from his state visit to Indonesia last September, the president urges the Filipinos to work with his administration. Duterte also said that his administration is working very hard to ensure that there will be economic opportunities available in the Philippines. "Working abroad should be an option and not a need." 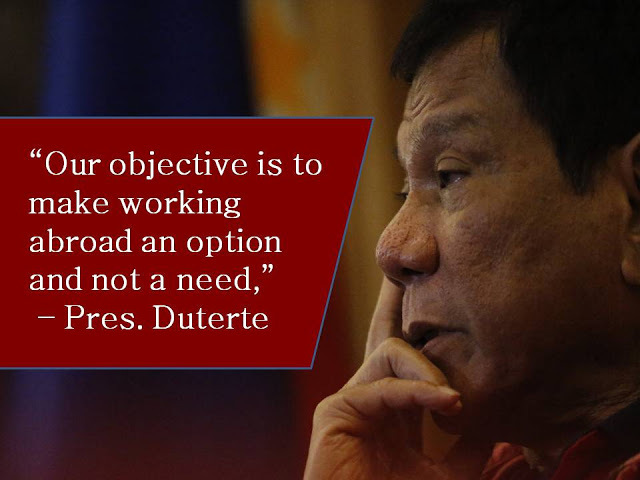 This is the objective of the administration of President Rodrigo Duterte for all Overseas Filipino Workers (OFWs) in the different part of the world. Government system in the Philippines will be better. Get rid of the corrupt government officials.